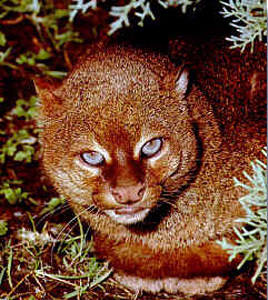 These Jaguarundi have a reddish or a charcoal gray fur, short ears and short legs. Their natural habitat is lowland brush areas, usually close to water. As a true predatory cat, the Jaguarundi can both swim and climb very well. 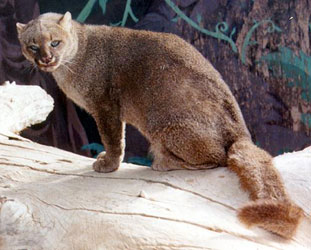 The Gulf Coast Jaguarundi eat fish they catch in rivers, as well as small mammals (such as rabbits and armadillos) or even jump and catch low flying birds. These wild cats have very advanced senses, making them a somewhat dangerous predator. The Jaguarundi are considered to be solitary animals, that hunt and live alone, except for breeding season which occurs from September to November. After a gestation period of 70 days, birth is given to one or two kittens. They remain dependent on the mother for as long a period as two years, which is quite unusual for predatory mammals. These dangerous cats have a very high life expectancy of up to 24 years, mainly due to their highly advanced senses, that protect them from other, larger carnivores. They are also easily tamed and can live even longer in captivity and they’re quite common in zoos. IUCN lists the Gulf Coast Jaguarundi as “Endangered” which is mainly due to human actions, that have resulted in destroying most of the wild cat’s natural habitat – many areas previously suited for them has been cleared and turned into farming zones. It’s also hunted for it’s fur, which has a very attractive natural reddish colour, though extra poacher control has reduced cases of these animals being hunted. Fortunately, many people are aware of the critical situation of the Gulf Coast Jaguarundi and some communities around the Rio Grande Valley have begun to restore the cat’s natural habitat, as a means of conservation. If these actions succeed, perhaps the Jaguarundi will restore a stable population. Another concern for environmentalists in relation to these wild cats is the proposed building of the 16 foot wall on the border of Mexico and U.S. This project endangers the natural balance in the border area and the number of many animals, including the Gulf Coast Jaguarundi might decrease drastically. Even now, it is very rare to see a Jaguarundi in the jungle and although there are no precise numbers of their population, it can be estimated as very low. 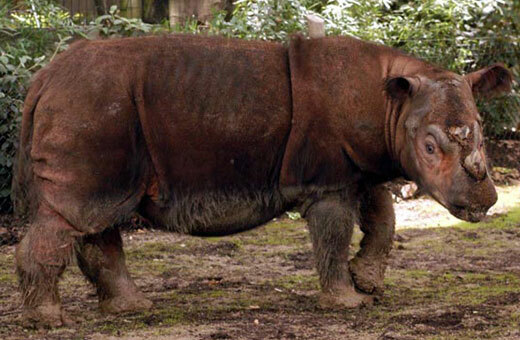 After reading about this rare animal, I am going to help raise awarness for it! My friend and I, along with my husband observed two jaguarundis last March (2010) in our neighborhood at SPI Golf Community. We were out for a walk in the neighborhood and saw them near the Wildlife Refuge area of our community. They did not appear to be aggressive. We were standing, watching them, from a distance of approx. 30 feet. What an awesome experience!!! I am From Matamoros Tamaulipas Mexico, and I wonder how can I Help the Jaguarundi? I’ve going fishing several times to the Mezquital area (laguna madre) and never saw one of those, just rumors!